Ceremony seating…. pretty basic right? Most brides use the white folding chairs that are provided from their venue, or to be “fancy”, they spring for the chiavari chairs. But are those the only options? Unique ceremony seating is everywhere right now, and I think it’s fantastic. What a way to surprise and impress your guests upon arrival! Having a backyard, down home, casual wedding? Throw blankets down on the floor! Going for a more modern, clean look, why not rent black lounge furniture? White Benches are great for beach weddings. Country theme? 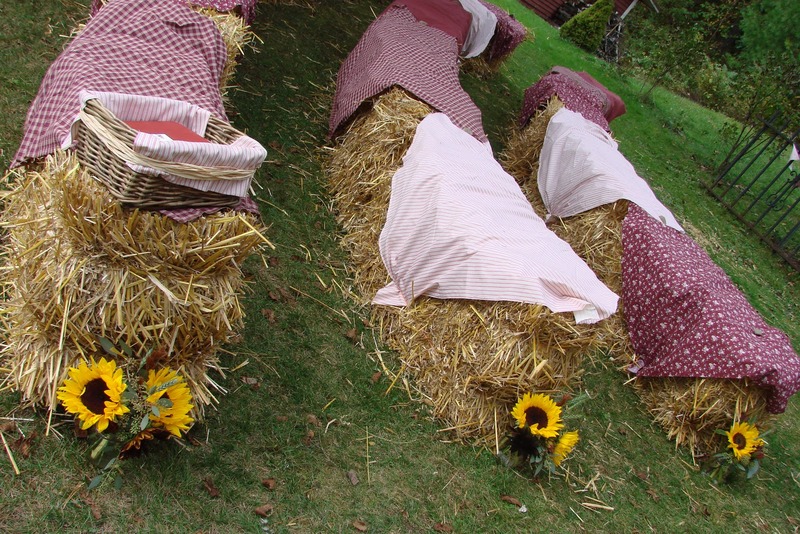 One of my brides is having her guests sit on hay! (see picture below!) Yee Haw! 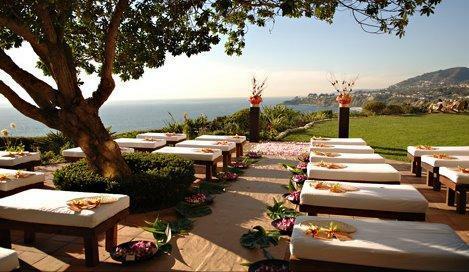 The traditional ceremony seating layout is also becoming more modern and inviting. 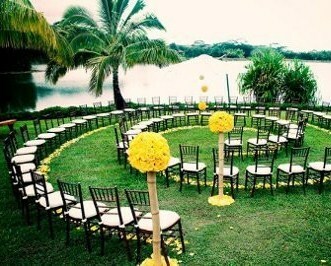 Why not turn your ceremony so that you and your groom are facing the guests, or in the center of them? Ceremony set ups that surround the couple are growing in popularity. What an amazing feeling… saying your vows while your friends and family are all around you, literally! 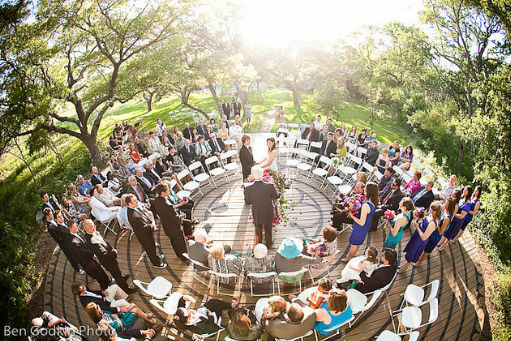 Here are a few great photos of unique ceremony seating arrangements. Out with the boring chairs, in with the personality!